From east of Columbus: Take Interstate 70 West to 270 North. Follow 270 North to Sawmill Road (Exit 20) and go North (or right) on Sawmill Road. Sawmill Road will become Sawmill Parkway. Continue on Sawmill Parkway until you reach Powell Road/SR 750. Turn left onto Powell Road/SR 750. The Zoo entrance is approximately 1 mile on the right. Watch sharks and electric colored fish swim in their 100,000 gallon saltwater tank they call home. Touch a starfish and explore the world of reptiles. Note: Aquarium and Zoo are together. *Zoo Guests will be asked to provide a valid driver's license, state-issued ID or a current utility bill to receive the Franklin County pricing. 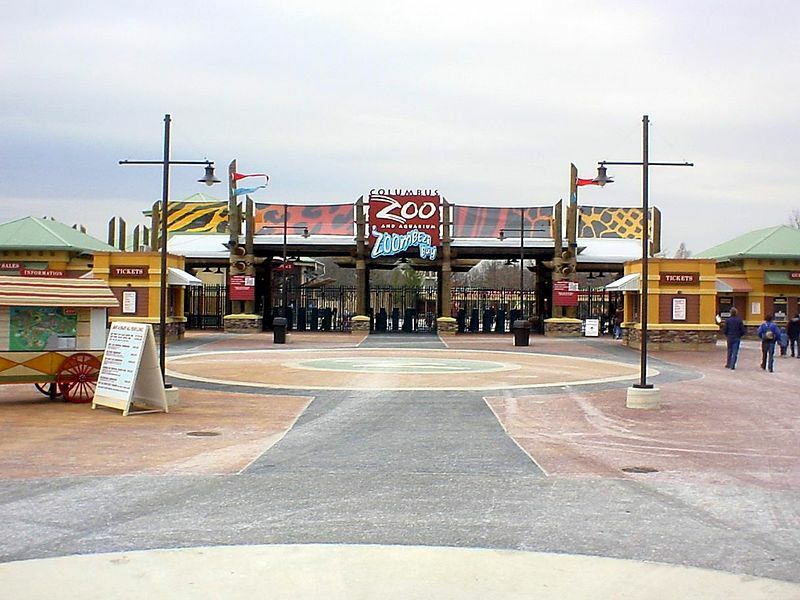 The Columbus Zoo and Aquarium is open every day of the year with the exception of Thanksgiving and Christmas. *The Columbus Zoo has extended hours during Boo at the Zoo and Wildlights (the Zoo's seasonal light display) check website for details. The Zoo is closed Thanksgiving Day, Christmas Eve (for Wildlights) and Christmas Day. Go behind the scenes and learn about Zebra Shark Training! If you need a place to stay check out one of the Columbus Zoo and Aquarium partner hotels: Holiday Inn - Worthington, Cloverleaf Residence Suites, Cambria Suites, Holiday Inn Express Dublin or the Hampton Inn Dublin.